I have a qeustion if it possible to let Ensemble manage user rights from AD-user group? What i want is to let external user have access to certain CPS-pages to read information. But not let them have access to Ensemble it self. And instead to set up individual accounts in Ensemble for each one of them i rather want to have dem in an AD-securitygroup. Is that possible and also limit them only to choosen CSP-pages? I'm not a administrator of our platform, i'm just develope productions so i would be greatful for information i could bring to our tech-guys and ask them to set it tup, if possible. This article, and following two articles of the series, is intended as a user guide for developers or system administrators, who need to work with OAuth 2.0 framework (further referred to as OAUTH for simplicity) in their InterSystems product based applications. I have a problem with CSP Application Authentication, when the user input you correct password, however the message "Invalid password" returns. This error returns just Cache password user type, for user delegated don't. this error is momentary also, if you wait a moment, it stops. I need to offer new users on our system a temporary password that is valid for only 48 hours. This is different than a 60-day password expiration window for existing users' passwords (where a password needs to be changed every 60 days), and is different than a "user expiration date", where you can set a date where the user's account expires and is disabled on that date, and different than the inactivity expiration date where a user becomes active if his account is not used within, say, 30 days. I cannot find the setting in the management console that allows for unauthenticated login to a Caché session. Any help is much appreciated. I am working on an ZAUTHENTICATE.mac to move us from local cache users to Delegated Authentication against LDAP. I have created a user role within my instance of Ensemble that matches the AD Group that I will be assigning everyone in my group to. Is there a way to query the list of available Roles within Ensemble, and if one of my AD groups matches that role, set the role for that user? How would I compare the AD Group against the Role listing? I am working through trying to use ZAUTHENTICATE.mac and LDAP.mac to do Delegated sign on into Ensemble. In reading over the samples and the documentation, I am not clearly finding on how to set the Appropriate Role from the LDAP group I return. Can someone help explain this part to me? If I have a user sign on, and I return a "Group" from the Authentication, how do I get that to transform into the Role I need for Ensemble. I have accidentally clicked the remember password option in my Ensemble studio. So it is now not asking for username and password and even the authentication popup is not showing every time i open the studio. Is there anyway to remove the remember password option for the cache studio. Suppose If you develop a client js application which works with Caché server via REST API (CSP Gateway). What are the options for Authentication and working with Caché session then? Unless I'm mistaken, 2017.1 doesn't appear to support RFC 7523 (JSON Web Token Profile for OAuth 2.0 Client Authentication and Authorization Grants). Is that coming in 2017.2? In order to support it in 2017.1, I'd have to override the OAuth 2.0 token endpoint to cater for the additional grant types - what's the best way to do this? We are building a bunch of rest based services using Ens 2016.2 to serve our browser based application (Angular 4). 1. The initial authentication seems only work if credentials are placed in the url parameters. Trying to use the Authorization header instead, the client code immediately complains about Access-Control-Allow-Origin. How can I resolve this? 2. After initial authentication, what is the proper way to send subsequent rest calls without having to include credential every time? I have Parameter UseSession As Integer = 1 in my service class, but what else do I need to do? In the previous article, I had just started working with Arduino, and got a meteorological station to show as a result. In this article, let's go further: we will set up authentication via RFID cards and Arduino against the InterSystems Caché application. Difference between CLIENT and AUTHSERVER instance? I use Cache Instance. I'm trying to implement OAuth 2.0 in Cache instance. Is it possible to use Cache instance as Client and Server? And What is the Difference between CLIENT and AUTHSERVER instance? Why is it used? I want to know which instance use which type of application? Hopefully this is a simple questions to respond to. Can you do Delegated Authentication for SOAP web service calls. I ask as I am not seeing this work as expected. I have this authentication turned on and enabled in for he CSP Web Application yet I keep getting a "Security Token could not be Authenticated. And a global I was setting to capture some of the available data is not being loaded. Imagine that your .NET project uses the Caché DBMS and you need a fully-functional and reliable authorization system. Writing such a system from scratch would not make much sense, and you will clearly want to use something that already exists in .NET, e.g. 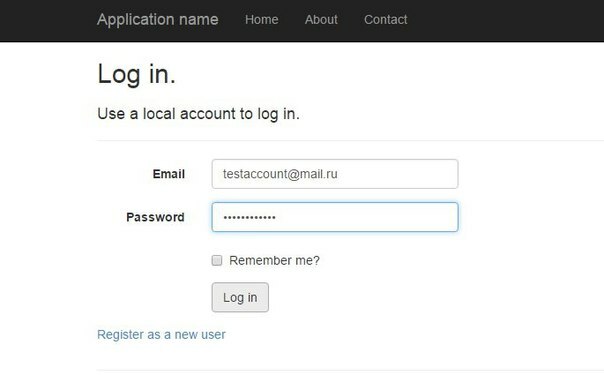 ASP.NET Identity. By default, however, this framework supports only its native DBMS – MS SQL. Our task was to create an adaptor that would let us quickly and easily port Identity to the InterSystems Caché DBMS. This work resulted in creation of the ASP.NET Identity Caché Provider.